OFFICIAL CANON CASE-. They are not sold as new and will not have box or full box contents unless stated. We try to describe the best we can and any second hand item will show signs of normal wear & tear. Fujifilm FinePix S Series S9200. Condition: Good working condition (Refurbished). Colour - Black. The image stabilizer in the Olympus X-42 counters handshakes to eliminate blurs. The optics are clean & clear. No fungus or dust. However, for those whose approach to photography is more point-and-shoot, the S1900 can also happily be switched to “Auto” for hassle-free shooting and total peace of mind. Instant Zoom & Zoom Bracketing mode. This is where the mode dial on the top side of the LZ20 easily allows you access to the flexible creative modes "Program" and "Manual". Recording conditions by CIPA standard. Very Good condition - hardly used. In Mint condition. Only 5226 shots so far. Product Model: Canon EOS 4000D KIT 18-55 DC III. 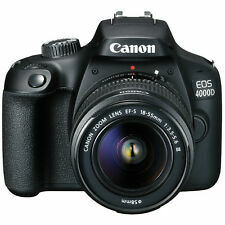 Canon EOS 4000D body. Lens mount: Canon EF. Experience the power of interchangeable lenses and capture high-quality shots of people and places with the EF-S 18-55mm f/3.5-5.6 III Lens. S : (4:3) 2304 x 1728 / (3:2) 2304 x 1536 / (16:9) 1920 x 1080 / (1:1) 1728 x 1728. Fujinon 50x optical zoom lens. 2.0x (up to approx. 100x, with 50x optical zoom). 24-1200 mm F2.9-6.5 Zoom Lens. Movie File Format : MOV. Clearance Canon SX720 HS PowerShot. We will always help you to have a 100% positive happy buying experience. Built-in WiFi / NFC. Fujifilm FinePix A Series A330 3.2MP Digital Camera - Silver. In good working condition with minor scratches on body work. Comes with a carry case and USB cable. Dispatched with Royal Mail 2nd Class. Add impact with your subject standing out against beautiful background blur. The seal has been broken on any software or consumables. The goods were special order to your specification. Canon SLR EOS 5D Mark II Excellent condition. Manuals for Canon 5D Mk II, Canon L lens and Speed Light. Canon Speed light 430 EX II "NEW " inc Diffuser & Shoe. Canon EF 24-105 F4L IS USM Lens with Hoya Pro1 digital 77 mm Filter fitted from New. About the item: This item is associated with the following MPN(s): 25042, VAA106E5. Nikon's impressive Coolpix 950 gives you both professional-level quality and the ease of fully automatic operation. OEM 2728C004AA. 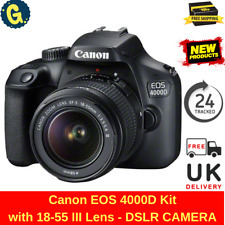 The Canon EOS 2000D Digital SLR is designed for a users first foray into experiencing photography utilising interchangeable lenses. Wi-Fi, NFC, HDMI mini, USB connectivity. Compatible EF and EF-S lenses required. Easily expand your shooting options with an extensive range of interchangeable lenses and accessories. Add impact with your subject standing out against beautiful background blur. White Balance ModesAuto, Preset, Custom. Model D7000. Viewfinder Type Optical (Through-The-Lens). Type Digital SLR. Lens for Sd Af-S Dx Vr 18-105mm. Series Nikon D. Features Automatic Flash, Tripod Mountable. Flash Type Built-In. Digital Video Format Mpeg-4. 9 focus points in the viewfinder. Shutter speed of 1/4000 to 30 sec. Lens focal length 18 - 55mm. Lens information Standard lens. Built-in flash. Size H7.7, W12.9, D10.2cm. ISO range from 100 to 12800. 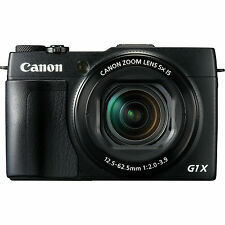 This camera is excellent quality for professional photos or personal usage. It comes complete with a printer for passport photos (or other sizes if personal usage) with ample paper worth £50 and a slave flash. We also have the roll up white background if for business use- allowing you to take professional photos in your workplace. We recently used in business but are selling due to purchase of photo booth. Hardly used and in excellent condition. 7.6 cm/3" LCD and electric view finder. Image stabilization. Original manufacturer's box. Genuine neck strap. Genuine front cap. With body cap as well. very well looked after. 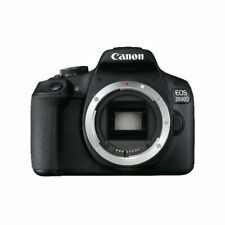 CANON EOS 4000D DSLR Camera with EF-S 18-55 mm f/3.5-5.6 III Lens Fast postage. Condition is New. Dispatched with Royal Mail 2nd Class. 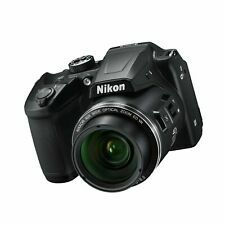 The Nikon COOLPIX 950 is a Compact device with a digital 1.9 MP sensor that allows you to capture clear images. 950 model has 2.5x digital and 3x optical zoom. Viewfinder Type Optical. Optical Viewfinder Type Real-image zoom. Canon EF-S 18-55mm f/3.5-5.6 IS III. Proven DIGIC 4 Digital Image Processor provides high speed 14-bit image processing. Desktop Pcs. USB/Pen/Key/Flash Drives. Images for illustration purposes only. Other Drives and Storage. Tape and DAT Drives. Hard Drive Caddies. CD & DVD Drives. Laser Printers. It was bought specially for my trip to Spain, but anyway I didnt took it. There is still foil on the screen. Have a wi-fi function, 50x zoom. It is great for Christmas gift! I add for free case and tripod (never used). Works Great! In Good Condition! Shows Some Used Signs of Wear. Please Refer to The Pictures. This unit has been thoroughly inspected, repaired and tested by our in-house, factory-trained technicians. As a result of the technicians' professional handling and care, the unit has been returned to factory specifications. You can expect a fully-functional unit. Lumix DMC-LZ6 Compact Digital Camera. Used and in immaculate condition. Includes Operating instructions ,Software disc and wrist strap. Excludes batteries, SD card and USB cable. Images can be stored on SD card which can be inserted into most computers, TV’s and card readers. Camera also stores a small number of images. Ideal camera for travel or a collection. OEM 1791C011AA. With a large tiltable LCD screen, capturing selfies or shoot from low angles with ease. Colour: Black. Colour Black. 40x optical zoom (80x with ZoomPlus) with 5-axis Dynamic Image Stabilizer. Batteries Not included 2x AA type. No software or manual. Fuji film finepix A340. Used with only slight sign's of use as been kept in case that has wear to edges. WRIST strap.